Vacuum extractors have replaced forceps for many situations in which assistance is required to achieve vaginal delivery. 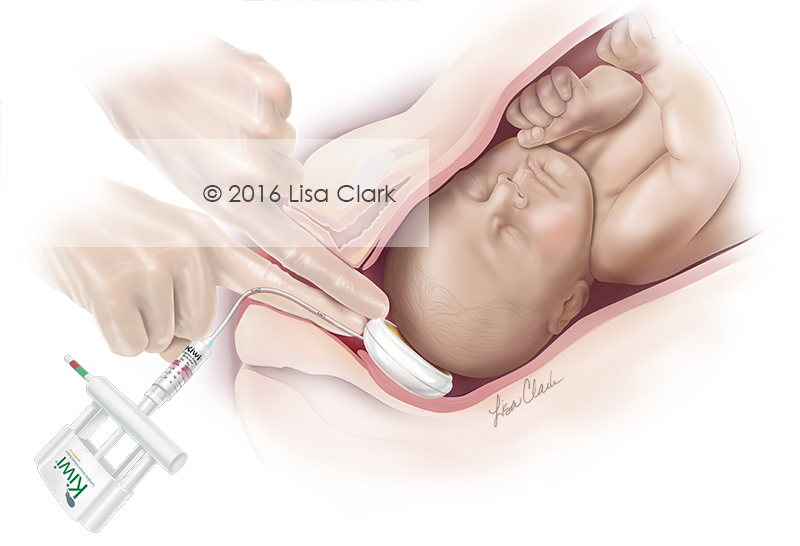 This illustration was created for a medical device company to show proper placement of the low profile cup over the flexion point of the baby’s head. The device is used to realign the head so that the smallest diameters of the fetal head are presented to the birth canal and malpositions of the fetal head can be corrected.